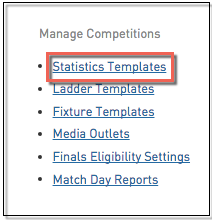 The configuration options for player and competition statistics provide association administrators with a great deal of flexibility in how they record and collate statistics. Associations can customise the statistics that are recorded and how they appear on your website. 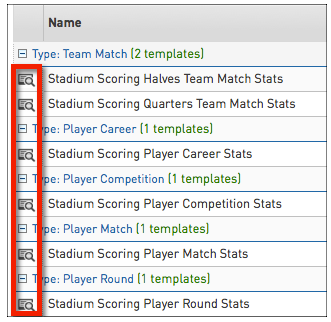 As a starting point, each Association database will have a set of default stat templates applied to it. These default templates can be changed if you'd like to utilise your own customised Stats Templates.